Posted on 4/22 for Earth Day because I don’t participate in the 420. However, let it be known I’m currently listening to King Tubby while posting this. 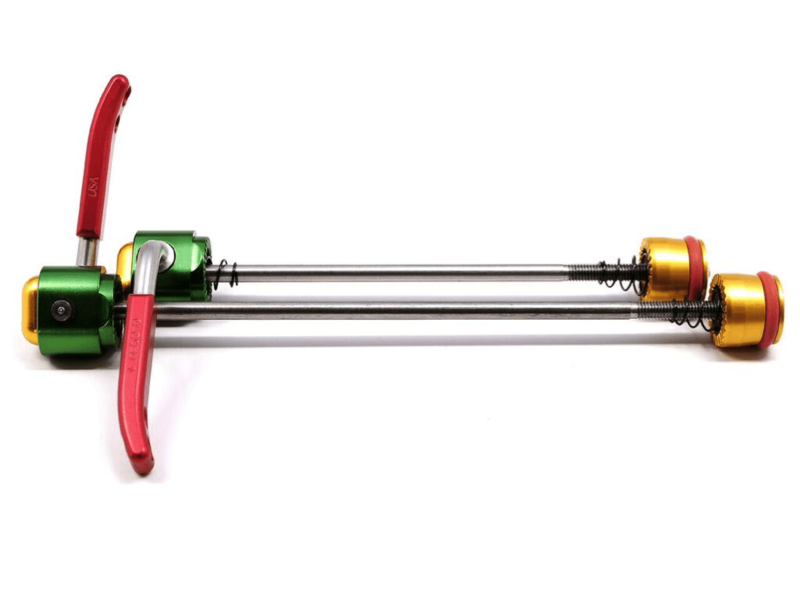 The Paul Component Rasta Quick Release Skewer ($55USD) keeps your wheels irie and secure. The internal cam design always holds tight, has perfect foolproof alignment, and is fully protected. 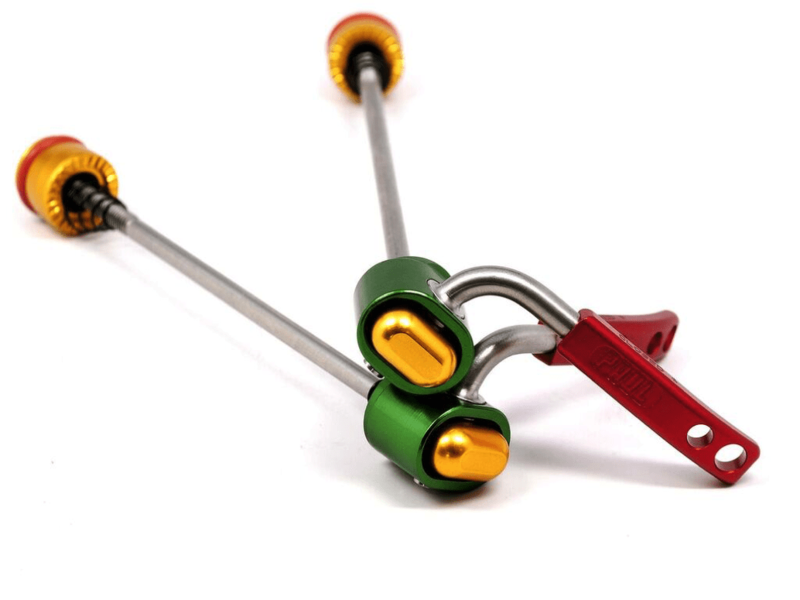 Skewers are available in your choice of lengths: 100mm; 130/135mm; 170mm; 190mm.